I’ve reviewed a robot or two in my time. I’ve played with many more that I didn’t deem worthy of writing about. 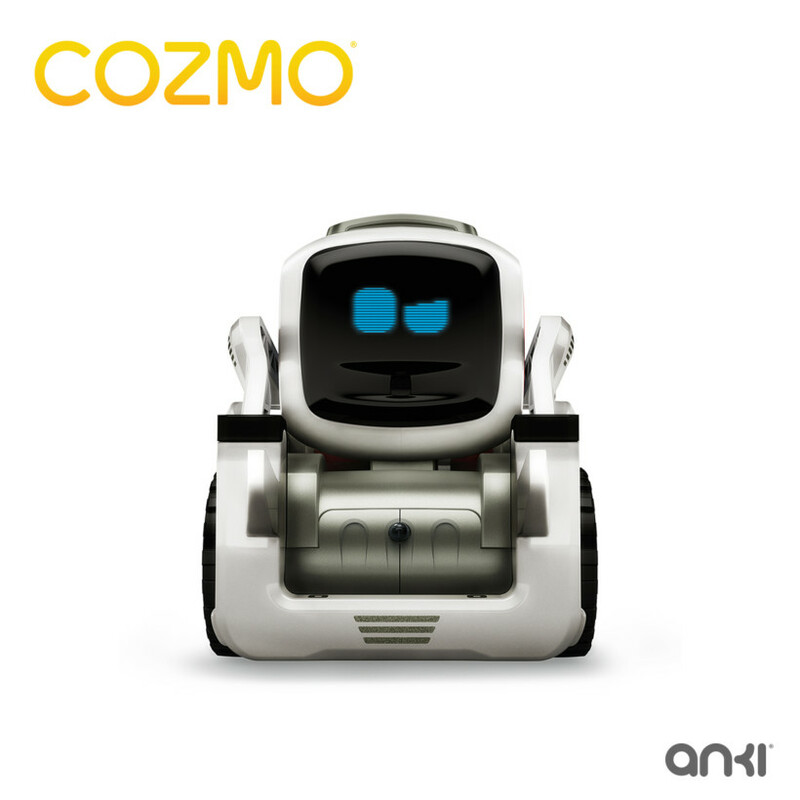 Cozmo is, as consumer robots go, easily the best I’ve seen. In fact, even before Anki released its new robot toy, we were smitten. 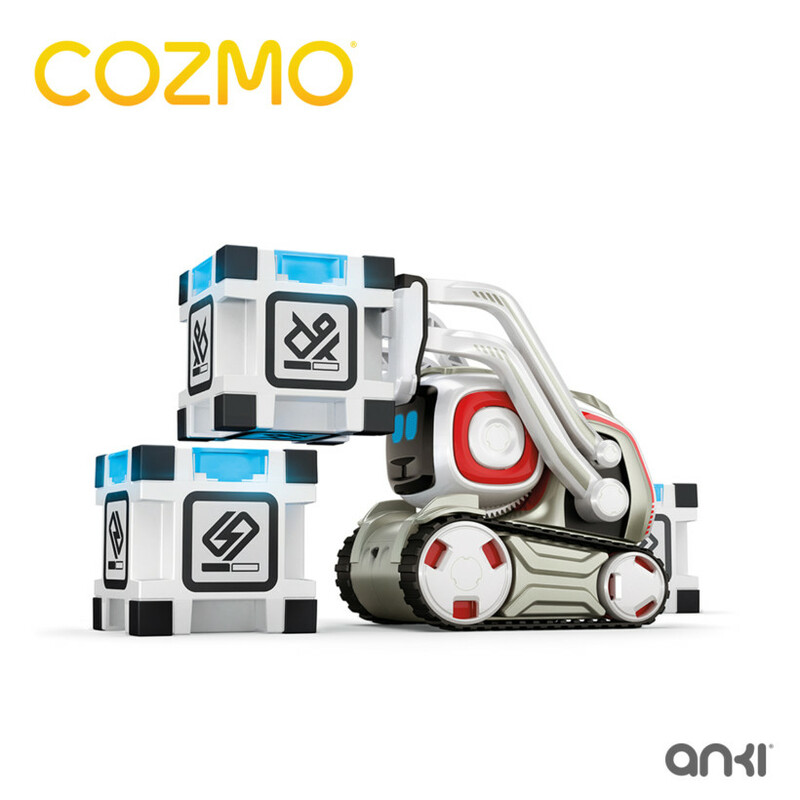 When unpacking Cozmo, it’s easy to be underwhelmed. The packaging is terrific, but inside lies a plastic figure with a short stature that’d seemingly be just as at home as a kid’s meal freebie. But then you turn it on. After pairing the robot with your phone, it springs to life. It’s cute, mischievous, and it quickly makes you forget about any of its shortcomings. 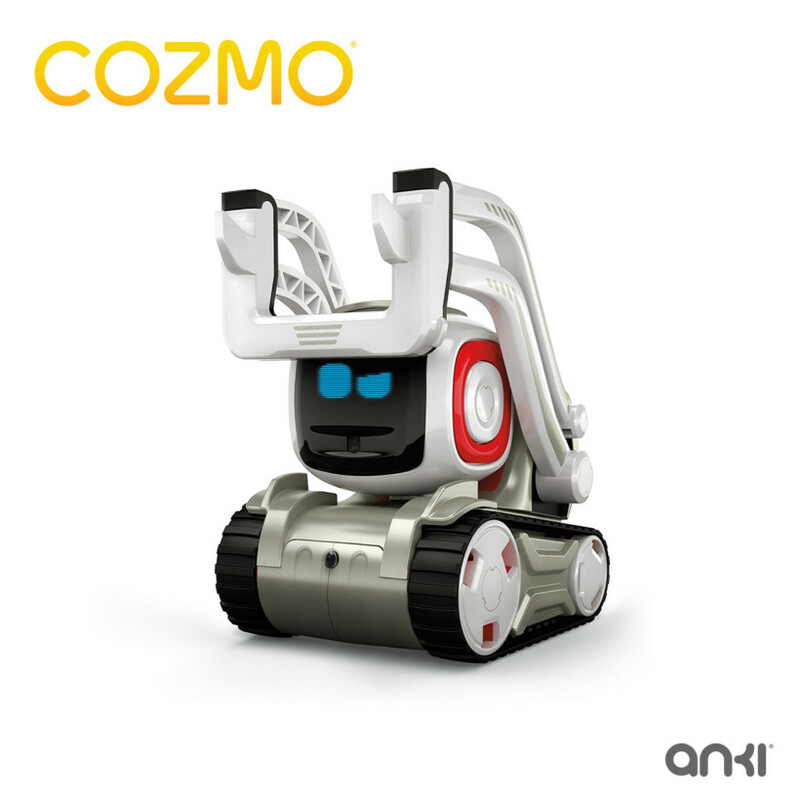 From his reactive eyes and patterned speech (consisting of robot mumbles) to the facial recognition and a real affinity for playtime, it doesn’t take long to realize that Cozmo is different. The first time he recognizes you, smiles, and proudly speaks your name is the moment he has you. And he’ll quickly take advantage of it. It’s less of a robot toy and more of a human child in its behavior. It’s constantly seeking your approval, and always wanting to play. 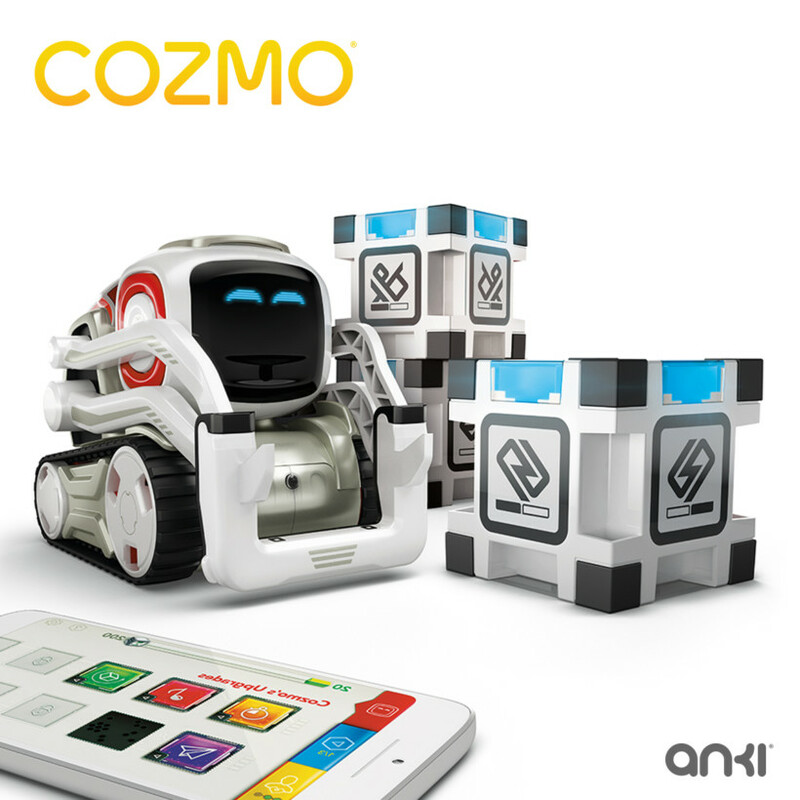 Cozmo is, for all intents and purposes, a robot toddler. Aside from constantly scanning the environment looking for things to play with — and trying to avoid falling off surfaces (something he’s very good at) — Cozmo is always wanting to interact. When you decline, he reacts a lot like a toddler. Or, perhaps you indulge your new toy and play a game of Keep Away or Quick Tap. The former has you try to remove a block from next to Cozmo before he can slap it, and the latter is a color/pattern matching game where you attempt to touch your light-up block before he touches his when the colors/patterns match. When you win, Cozmo whines and sulks. Or, if he’s feeling particularly frisky, he might flip the blocks over and refuse to play again. When he wins, expect a little dance, and some taunting. It’s these behaviors that bring out the human side of Cozmo and make him unlike any toy I’ve ever seen. After some time, he really starts to seem more like a pet than a toy. 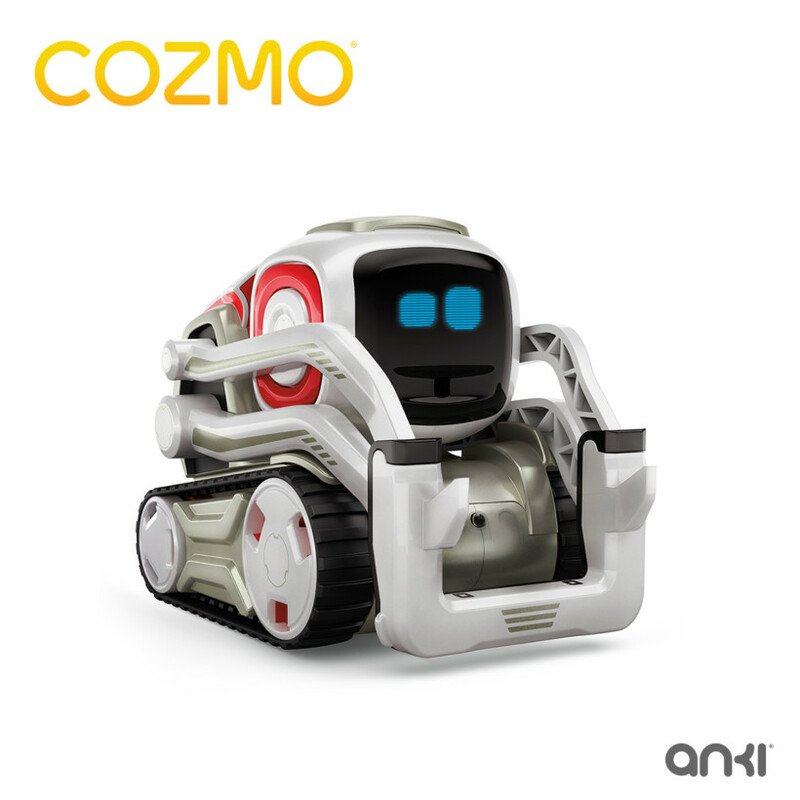 For $179, I suspect Cozmo is going to sell like crazy this holiday season. And really, why wouldn’t you fork over the cash when robots that cost twice as much are half as personable? Seriously, your kids are going to love this. Or, screw the kids and just get one for yourself; you can thank me later. Now, if you’ll excuse me, I have to pick up the toy blocks that he flipped over after I refused to play Quick Tap… again.